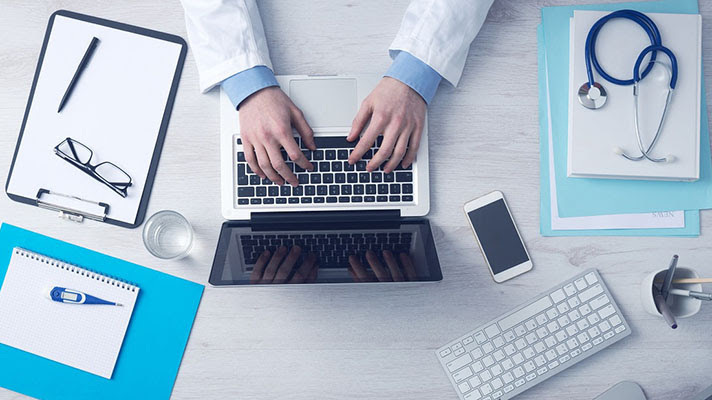 OpenNotes Executive Director Catherine DesRoches said the growing number of patients able to access their medical records online is advancing the shift toward transparency between doctors and patients. Ten million U.S. healthcare consumers now can read their medical records securely online through efforts by the OpenNotes initiative. OpenNotes advocates for a fully transparent record, including the notes physicians, nurses and other clinicians write after a visit. The Department of Veterans Affairs and 50 health systems in 35 states now share notes online using secure patient portals, and OpenNotes is actively working with healthcare organizations moving toward implementation in a majority of the remaining 15 states. “The results of the OpenNotes study involving 105 primary care doctors and 20,000 of their patients were shared in the Annals of Internal Medicine in 2012 – just four years later, we’re seeing the culture shift toward transparency in the patient and provider relationship really take hold, and we’re beginning to understand the benefits that openness brings to everyone in the healthcare delivery system,” said Catherine DesRoches, DrPH, OpenNotes executive director and a caregiver at Beth Israel Deaconess Medical Center. Speaking at the Healthcare IT News 2016 Pop Health Forum in Boston, OpenNotes co-founder and Harvard Medical School professor Tom Delbanco, MD, said patients participating in the program felt more in control, had better recall and improved understanding of their care, and showed better medication adherence. Despite initial fears that patients would be skeptical or disinterested in reading their physicians’ notes, patients want them, Delbanco said. “They read them. They share them. They’re not scared of them,” he added. During the last six months, Duke Health in North Carolina, Rush University Medical Center and Springfield Clinic in Illinois, University of Utah Health Care, Agnesian Healthcare in Wisconsin, University of Kentucky Medical Center, Sutter Medical Foundation and Open Door Community Health Center in California, Sanford Health in the Dakotas, Samaritan Health Services in Oregon, Providence Health & Services sites in Oregon and Washington, and UCHealth in Colorado all have started sharing notes. Among the 10 million patients who now can access their notes online, more than 3 million are veterans. One of the first health systems in the country to share notes, the VA expanded patient health records access in 2013, offering VA OpenNotes through their Blue Button tool. OpenNotes is a national initiative supported by the Robert Wood Johnson Foundation, the Gordon and Betty Moore Foundation, the Peterson Center on Healthcare, and the Cambia Health Foundation.